Bet on Nabil Fekir to Make a Move to Liverpool at 2/1 with William Hill. Bet on Liverpool to Win the Premier League at 4/1 with Ladbrokes. Bet on Manchester United to Finish in the Top 4 at 4/9 with Betfair. The future of Lyon's Nabil Fekir has become the transfer saga of the summer. From almost completing a move to Merseyside to calling off the deal, this transfer has taken more twists than a thriller movie. Now, sources close to Indykaila have reported that Liverpool are looking to reopen the negotiations for Fekir and are willing to pay a hefty sum for the World Cup winner. Before the start of the World Cup, a £53 million fee was agreed between Liverpool and Lyon for the transfer of Nabil Fekir. Personal terms were also agreed upon with Fekir even posing in a Liverpool shirt and giving an exclusive interview to the club's website. But the midfielder's medical proved to be the biggest hurdle as the Liverpool doctors raised issues over a potential future knee problem. Fekir had suffered a serious knee injury three years ago and the Liverpool's medical staff had predicted that the problem may arise in the near future. This led the Premier League side to back off from the deal and Lyon to issue an official statement, confirming the end of negotiations. Since then, Jean-Michel Aulas - Lyon's CEO - has been talking about the future of Nabil Fekir constantly in the French media. Yesterday, Aulas claimed that Lyon would do everything in it's might to keep Fekir in Lyon but he also predicted a transfer storm a week before August 9; the date that marks the end of the English transfer window. Indykaila can reveal that Lyon are bracing themselves for yet another Liverpool onslaught for Nabil Fekir. It is understood that the Reds boss Jurgen Klopp is a huge admirer of the Lyon forward and despite claiming Liverpool's summer business is over in front of the media, Klopp is readying himself for yet another blockbuster move. After answering their goalkeeping issues with the arrival of Alisson Becker, a creative attacker is high on Liverpool's wishlist. The club has still not bought a direct replacement for Philippe Coutinho which is the exact reason behind Nabil Fekir's chase. The Frenchman can play behind the striker, on the flanks and also as the sole striker of the team. In terms of creativity and end product, Liverpool are eyeing Fekir to replace the attacking influence of Philippe Coutinho. With Alex Oxlade-Chamberlain out for the season and Adam Lallana returning from a long-term injury, a creative midfielder seems to be the need for Liverpool at the moment and is something football betting fans should consider. Indykaila sources have also revealed that along with Nabil Fekir, Liverpool have also been tracking South Korean forward Hwang Hee-Chan. The 22 year old is in a similar mould of Nabil Fekir who can lead the line, play as the second striker and also on the flanks. Hee-Chan can score from both his feet and has been an integral member of Red Bull Salzburg. The South Korean played a huge role in Salzburg's run to the Europa League final last season. Jurgen Klopp has monitored Red Bull Salzburg's players closely in the past. Sadio Mane and Naby Keita had been on Klopp's radar since their time with the Austrian giants. 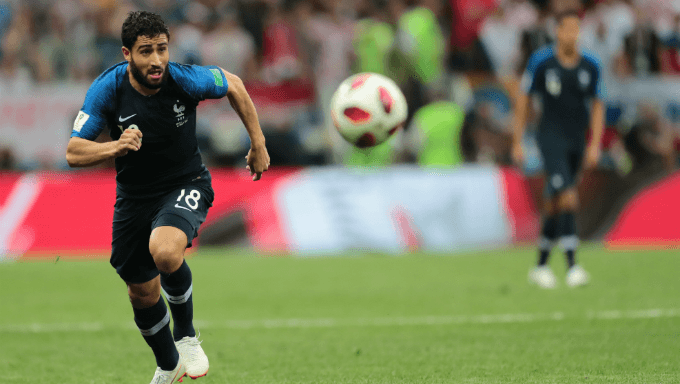 It is believed that if a move for Nabil Fekir does not bear fruit, Hwang Hee-Chan will be targeted by Liverpool in this summer or in the future transfer windows.